Disillusioned and aimless, Evan Spencer makes a pact with herself. She throws a dart at a map and promises to follow wherever the finger of destiny points. Even if that means heading to some obscure Alaskan town she's never heard of. A place where the primal beauty of the backwoods is rivaled only by a certain pair of steely male eyes. 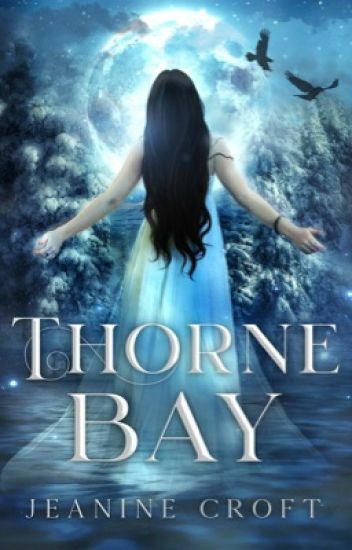 But Thorne Bay has a dark side. It's not just rumors and wary gazes that shadow the darkly alluring Tristan and his reclusive family. Her search for self, as it turns out, leads to a discovery of werewolves and a fight for survival. Alaska might just leave an indelible mark. Love and Death will leave her changed forever. COMING in 2020, the final book in the Transcendence series. A sneak preview follows the prologue! It can never bode well when a prince of Asgard takes an interest in a mortal. Not when that god is Loki, the infamous father of monsters. To love such a god is as improvident as it is dire. Curse Of Blood: Gods & Monsters is a dark, romantic tale spanning three parts, and weaves together a tapestry of ancient myths and viking lore. It tells the story of Aila, a woman who must overcome the trammels of loss and the vicissitudes of love to emerge as a leader of men; and the mother of werewolves. This is the prequel to Lair of Beasts. Read in any order. Born in Westfall to a poor family, violet-eyed Idira endures hunger, isolation and abuse at the hands of her cruel father until the dangerous kingpin of a criminal organisation rescues her. As she grows into womanhood, cocooned in wealth and surrounded by violence, she learns her unusual eyes are harbingers of a rare magic she possesses, as old as Azeroth itself, which connects her to a powerful, charismatic mage trapped on another planet. Despite being almost twice her age and separated by an impossible distance, Khadgar captures her heart, though she can only love him in silence. Later driven from Westfall by the arrival of the Legion's vicious demons, she learns of the magical city of Dalaran and of Khadgar's return. Desperate to harness the power she feels growing within her and to meet the man of her visions, she determines to travel to the floating city and learn how to become a mage. But once she arrives, her unusual violet eyes soon cause her to become the object of everyone's scorn--everyone's, that is, except for one. Daughter of Azeroth is a sidequel to my novella Into the Light, it tells the untold story of Idira; of her long and difficult path to her destiny, which is revealed in Into the Light. Even if you haven't read Into the Light (although I hope you will! ), Daughter of Azeroth can be read as a stand-alone story. © E A Carter 2017 All Rights Reserved. A collection of my humble graphics. Covers I do for others and those I've made for myself. I make covers on request based on my writing workload. "Payment" is an instagram/wattpad follow AND credit for the cover (especially if you use it for a published ebook). Craving a steampunk adventure? Then take to the skies with Marigold; a charming, rollicking tale with a cast of unique characters and a lot of heart, part one of Smith's first novel. Patrick, Janet, and Tiero form an unlikely trio in a competition to be enlisted as Aeronauts, the high-flying heralds of justice in service of Her Majesty. Weep and laugh as lovable characters endure severe hardship and find companions in the oddest of places. "Wow wow wow, Hunter! This is excellent. I love the characters already, and the way you write truly brings the story to life. Very well-written... It's all very very good. I can't wait to see Patrick's crew thrown together for this adventure." - Joanne Weaver, Watty Award Winner With Over 230,000 Views. "From the moment I started reading those charming opening chapters of this expertly crafted story, the Marigold crew stole my heart. Every day I looked forward to seeing where their adventure would take me. Patrick the privileged young gentleman seems destined to become a snob just like his father until a quirky young baker girl named Janet forces him to reconsider everything he once believed. Social status ceases to matter so much, and Patrick learns that appearances don't always reflect kindness or the integrity of one's character..." - Meg Merriet, Featured Steampunk Fantasy Writer. "Love, love, love this! I'm so glad I stumbled on this book. Your writing is captivating. I can't wait to read more of this book. So many times I find steampunk that's bogged down in technology that it loses the character elements. Not so with this. You've got some lively characters here." - Lyndsey Lewellen, Writer With Over 160,000 Views. Bizarre murders have thrown a pall over of London society. And something dark has begun to quicken in Emma Lucas's heart. Something darker than superstition. A darkness that has lain dormant until the moment she meets the mysterious Markus Winterly. All too soon Emma finds herself within the ancient ramparts of Winterly Castle. There, amidst the foggy Yorkshire moors, Emma must confront the inescapable proof and enduring horror that vampyres really do exist! And who better to seduce and initiate her into dark and sumptuous realms of forbidden pleasure and fatal love than the brooding and tempting Dark Prince himself: Markus Winterly. I DO NOT allow translations, and I condemn plagiarism! Thank you kindly for respecting my rights as an author. ❃ AWARD-WINNING WATTPAD FEATURED STORY ❃ Still reeling from the fallout of the Battle for the Broken Shore, Khadgar learns Azeroth has less than one month left before Illidan rises again as Sargeras's avatar. While the battle for Illidan's soul rages within the Nether, Khadgar must gather the quarrelling nations, find and breach the Chamber of the Eye, and stop Gul'dan before it is too late. But at what cost? In the endless void of the Twisting Nether, Illidan wakes, formless. His fallen body--long housed in the Vault of the Wardens--has been stolen, his awakened soul trapped by the immense powers of the Necromancer Gul'dan, servant of the Dark Titan Sargeras. Taken away and hidden deep within Suramar's ruined Temple of Elune, Illidan's body hangs suspended in fel energy, transforming into a powerful dreadlord. Gul'dan, his new master, shows Illidan his destiny. Through Gul'dan's eyes, Illidan's terrifying future unfolds, he is to be the avatar of Sargeras, the Commander of the Burning Legion. He watches, horrified, as he eradicates his home world, consuming all life, leaving Azeroth burning in eternal flames. But Illidan's fight is not yet over. By waking him, Gul'dan has granted him one final chance to settle an ancient score: to bring an end to the Burning Legion once and for all. As his soul drains little by little into the Titan's avatar, Illidan realises he cannot stand against the Legion alone. In so much darkness, there must be light. There can be only one. The memories return, of an age long past, of the one he loved with all of his heart. Even in the silence of the Nether, his heart still longs for her. From beyond eternity, The Betrayer calls to her, asking the impossible. "Blood for dancing, Cece. Blood for pain. Your choice." In Anghor Manor, there is always a choice. When ex-ballet dancer Celine sees something she shouldn't in the alleyway outside of Vienna's hottest nightclub, Fluxx, owned and frequented by vampires, she is offered three choices. Each choice is as frightening as the next. Unable to make up her mind, Cece bides her time. She wrestles with memories of her old life, a life she was forced to abandon when a devastating injury ended her ballet career. Now she must pick up the broken pieces and move on, but moving on offers its own challenges, especially when Caius, lord of Anghor Manor, offers her something more precious than gold. PREVIEW ONLY. AVAILABLE FOR PURCHASE SEPTEMBER 15TH ON AMAZON AND BOOKSTORES.